f110v2: 10-inch driver, capable of peak-to-peak excursion capabilities well in excess of 2.5 inches, 1100W amplifier, sealed enclosure with extensive internal bracing. f112v2: 12-inch driver, capable of peak-to-peak excursion capabilities well in excess of 3.0 inches, 1800W amplifier, sealed enclosure with extensive internal bracing. 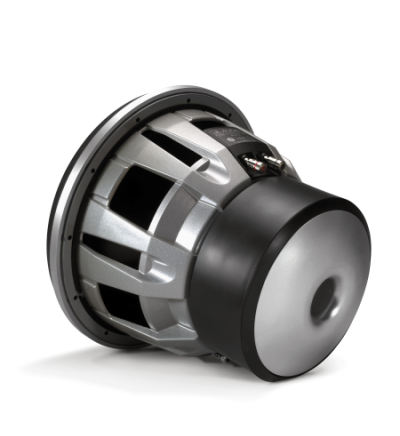 f113v2: 13.5-inch driver, capable of peak-to-peak excursion capabilities well in excess of 4.0 inches, 3000W amplifier, sealed enclosure with extensive internal bracing. 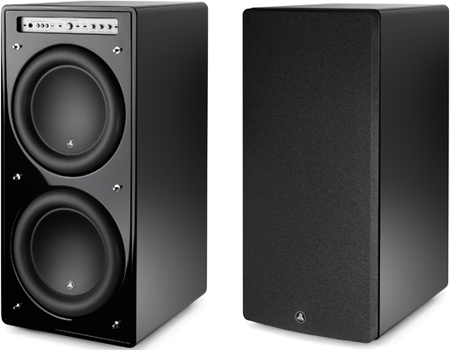 f212v2: twin 12-inch drivers, capable of peak-to-peak excursion capabilities well in excess of 3.0 inches, 3600W amplifier, sealed enclosure with extensive internal bracing. 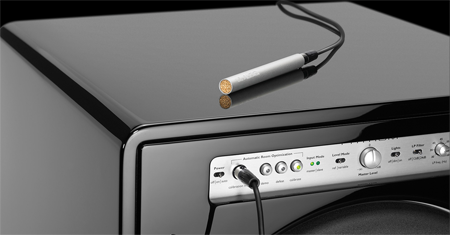 With the included, laboratory-grade calibration microphone, JL Audio’s powerful D.A.R.O. (Digital Automatic Room Optimisation) self-generates a series of calibration tones, measures the response at the listening position and automatically configures an 18-band, 1/6 octave equalizer for a flat end-result. The Fathom’s response is then setup for optimal performance. 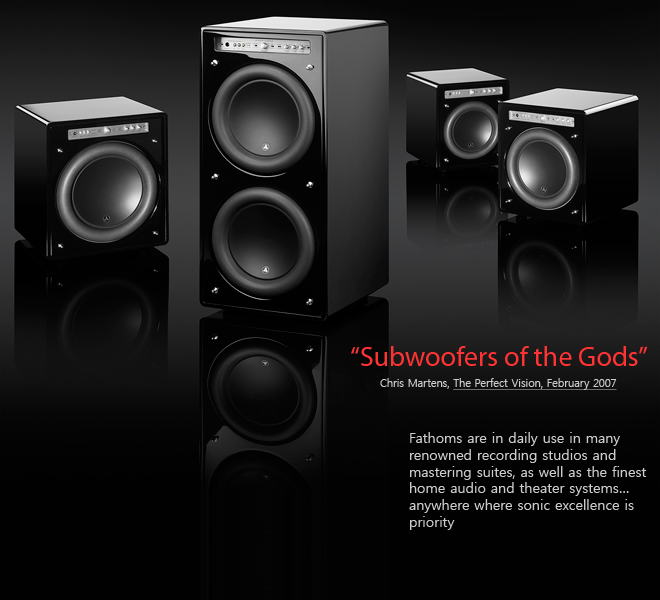 Each subwoofer driver in the Fathom® series of subwoofer systems is capable of exceptional linear excursion without distress or audible distortion. 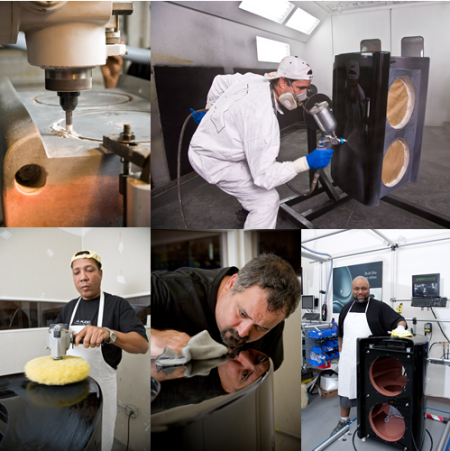 These exceptional drivers enable the Fathom® series of subwoofers to reproduce powerful low-frequency events with stunning impact and unprecedented accuracy. Derived from JL Audio’s legendary W7 design platform, the Fathom® drivers offer peak-to-peak excursion capabilities well in excess of 2.5 inches (63 mm – f110v2), 3 inches (76 mm – f112v2) and 4 inches (101 mm – f113v2) to comfortably handle the dynamics of the most demanding program material. To get the most from the Fathom’s long excursion driver platform, prodigious amounts of controlled power are needed. 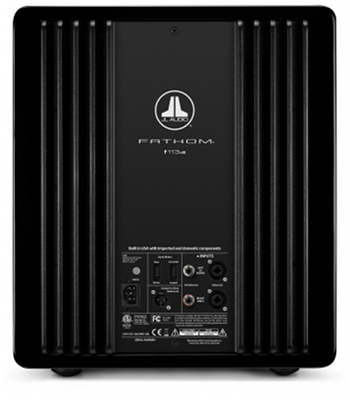 Each Fathom® subwoofer system employs a precisely engineered switching amplifier with patented feedback technology, capable of delivering unclipped output voltage equivalent to 1100 watts (f110v2), 1800 watts (f112v2), 3000 watts (f113v2) and 3600 watts (f212v2) of RMS power when referenced to the nominal loudspeaker impedance, allowing JL Audio to take full advantage of the drivers' full excursion envelope.